The simplistic design of the Kershaw Wildcat Ridge Jigged Bone 3140JB appeals to the traditionalist in us. The 8Cr13MoV steel of the clip point blade is built to last. There is a notched thumb rest along the ridge of the blade that provides a stabilizing grip. The bolsters of the handle contrasts beautifully with the jigged bone inlay. 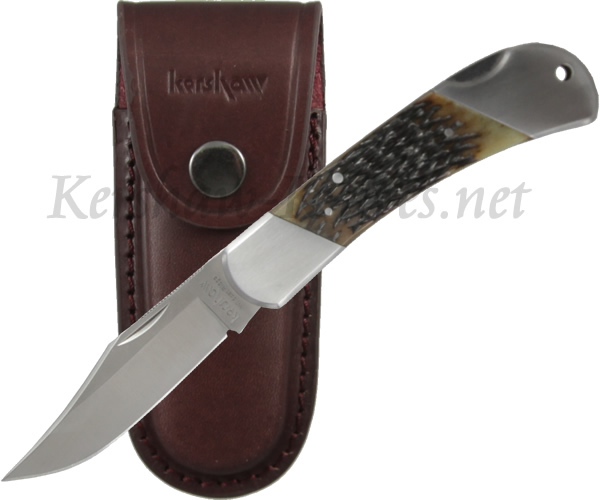 The blade is accessed with a traditional nail nick and is closed by pressing the lockback mechanism. A leather case is included with the Wildcat Ridge 3140JB.